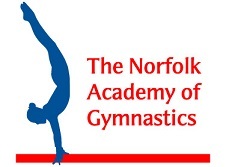 Norfolk Academy gymnasts once again represented the region in style at the national grades finals in Birmingham on 17th and 18th May. 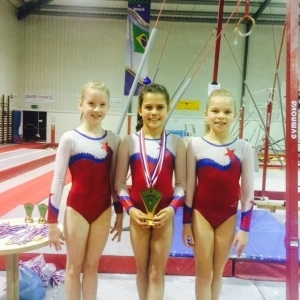 On Saturday, Eleanor Hayward and Kylah Tranfield participated in the grade 6 competition, having placed 2nd and 3rd in the regional qualifier. 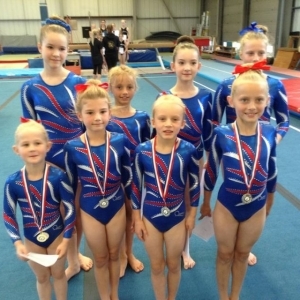 Both gymnasts were representing their region at a national final for the first time and should be very proud of their performances. 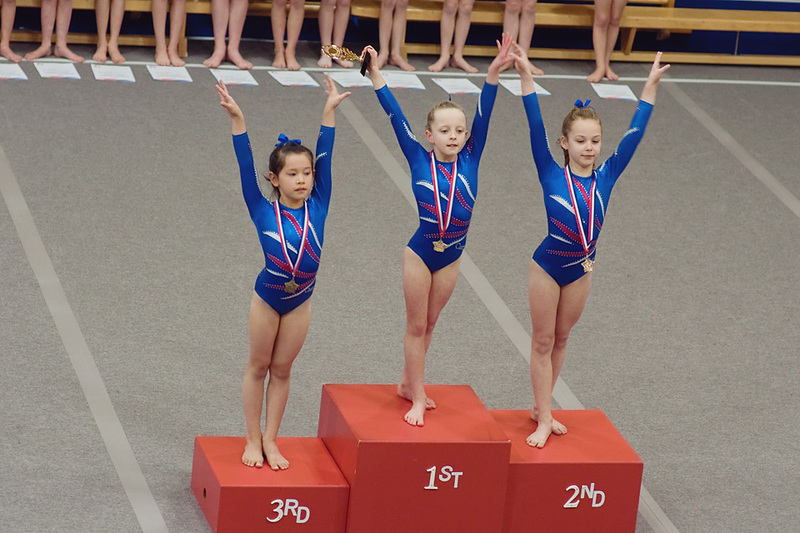 Eleanor had a mistake at the end of an otherwise beautiful beam exercise at the start of the competition which eventually kept her out of the top placings, but her other pieces were strong with vault (12.5, 10th) and a stunning floor (12.00, 2nd) her highlights. Eleanor finished in tenth position. Kylah had a very solid competition, with no major errors and she also managed two top ten rankings on bars (11.95, 7th) and beam (11.55, 9th) on her way to an impressive fifteenth place finish. 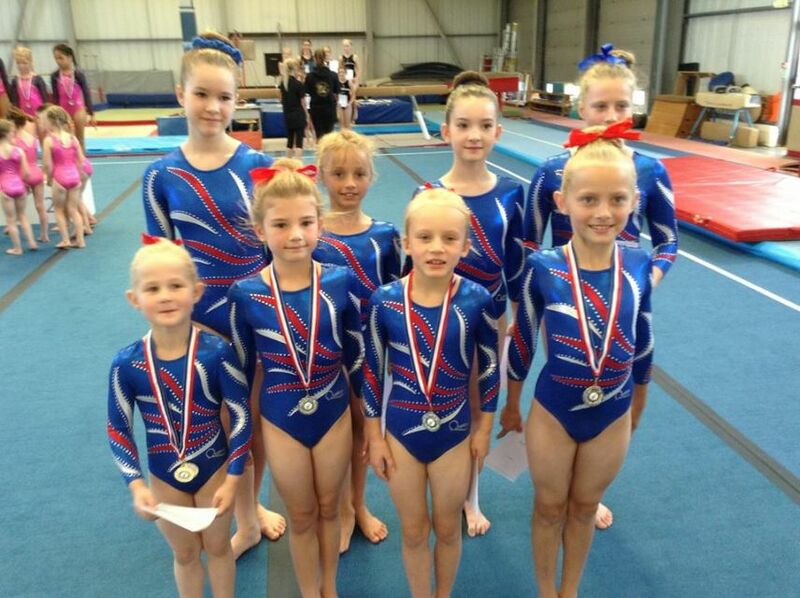 The girls were delighted to collect bronze medals with their team. 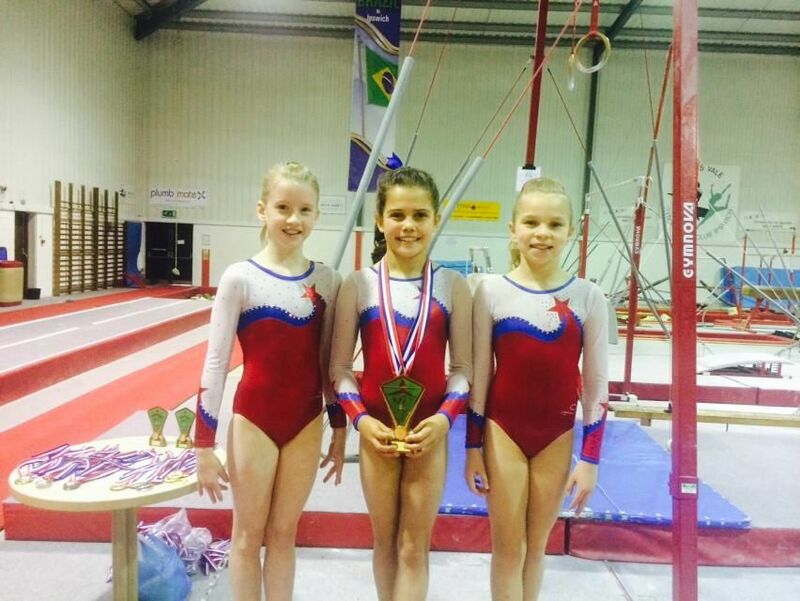 Kylah and Eleanor have been with the club almost exactly two years and in that time have blossomed into accomplished and confident gymnasts, and they will both surely have many even greater successes ahead of them. In the final round on Sunday afternoon, Laura Rose Cooke, Laura Glover ad Olivia Syder made up three quarters of an all Norfolk grade 5 team. 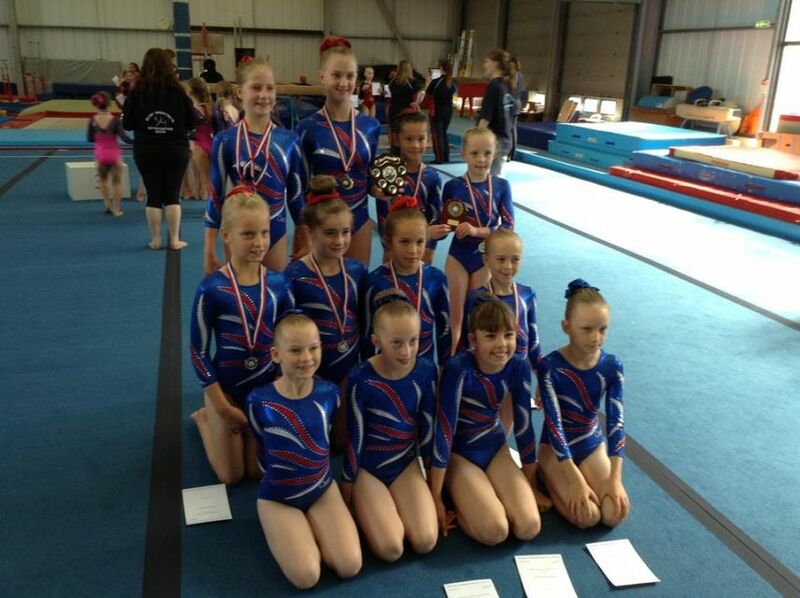 The standard was much higher than in previous years with many more gymnasts handling the tricky requirements. 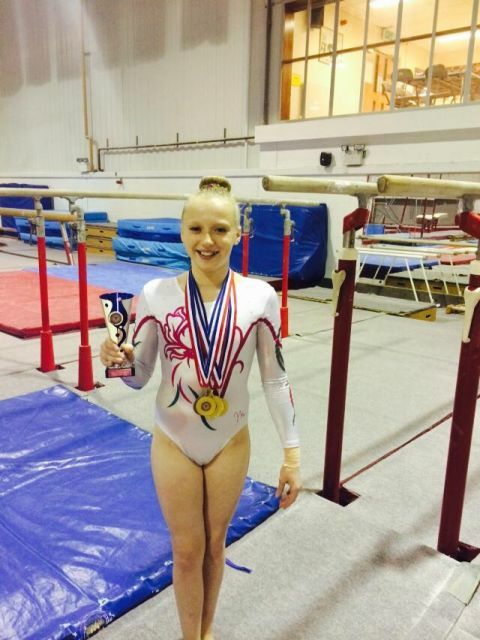 Olivia Syder had continued to battle injury in the run up to the competition and this affected her most on bars. She managed a good routine in warm up but sadly couldn’t replicate this in the competition and sadly started her campaign with a mistake here but she recovered well and was solid on the other pieces, with a very good beam routine her best piece of the day (10.4, 8th). Laura Glover had the tough task of following two falls on bars in the opening round but easily went through her routine and was one of the top scorers here (11.55, 10th) and also on her strongest pieces of vault (12.35, 5th) and floor (11.4, 4th). It was the testing skills on beam that let Laura down a little on this occasion and meant that she just missed out on the top six, finishing in seventh place with 44.75. 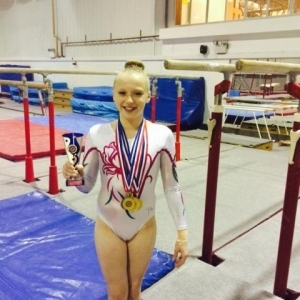 Laura Cooke knew that she had the ability to take a medal in these finals, having been in the top six at the lower grades for the past two years. Her bar routine was an excellent demonstration of how this set of skills should be performed (12.05, 2nd) and she nailed her vault to take top spot here (12.55). 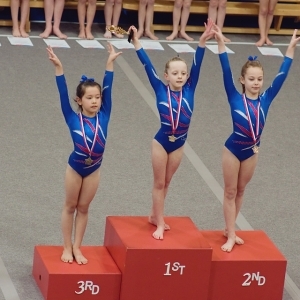 Having stuck this beam routine at both previous competitions, Laura sadly couldn’t quite make it three and her mistakes here pushed her off the podium and into a still very impressive, fourth position finish (45.65). 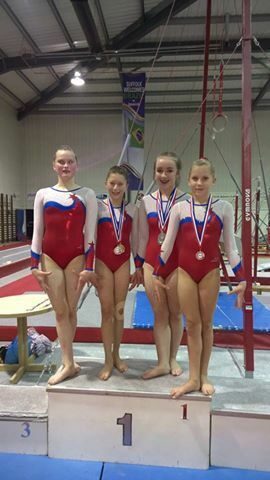 The team just missed out on a medal, also finishing fourth. 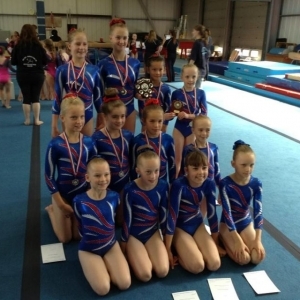 The TNAG gymnasts contributed heavily to helping the East retain the Rosebowl by an impressive margin of over twenty marks.